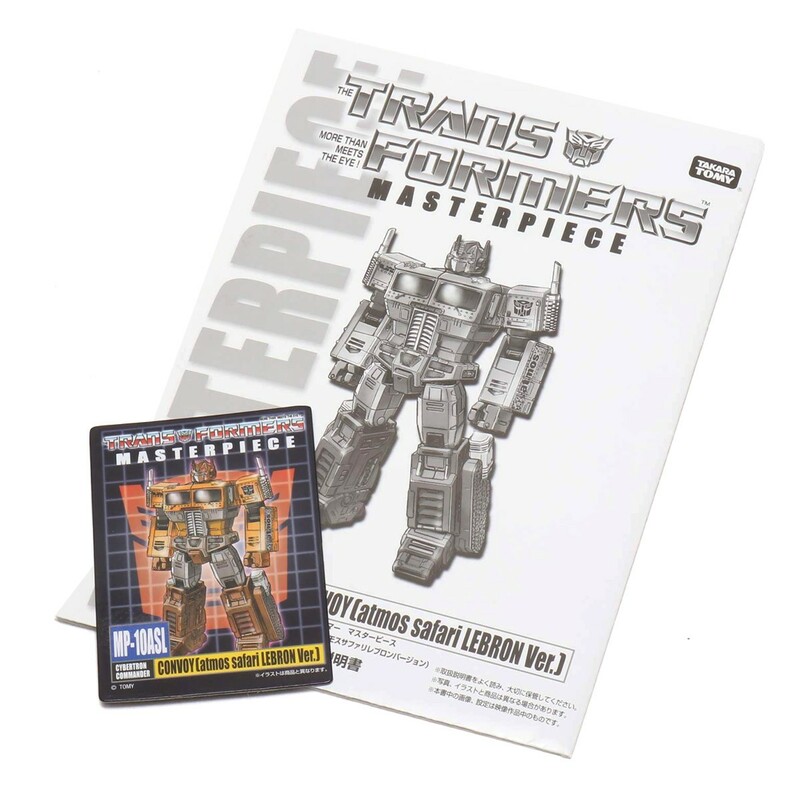 Gee, TakaraTomy sure loves Masterpiece MP-10 Convoy/Optimus Prime, huh? 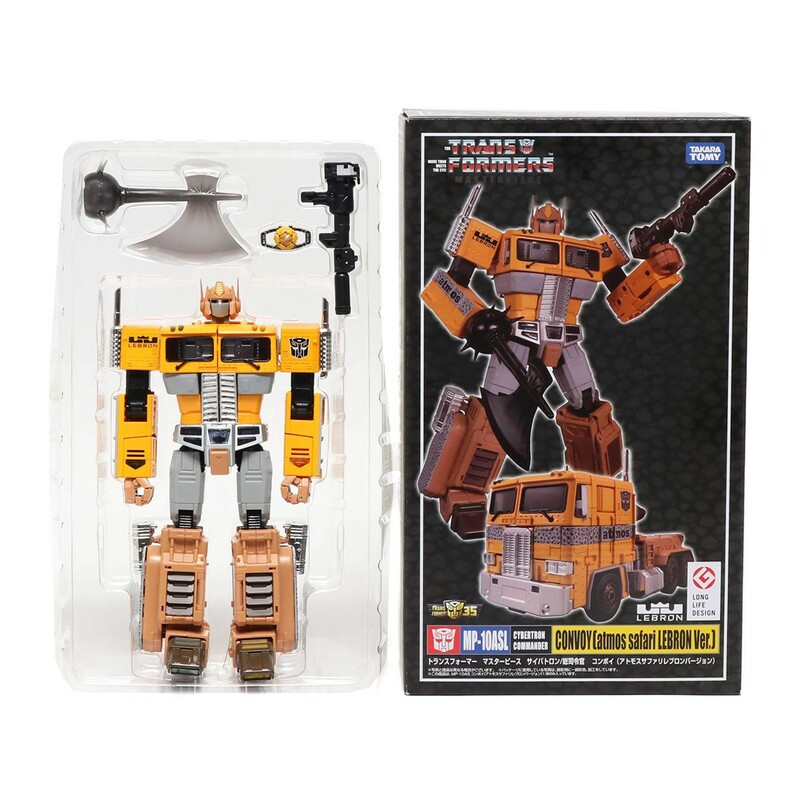 Wee say this because in the same vein as many other brand deals TakaraTomy signs for, MP-10 Convoy is once again used! 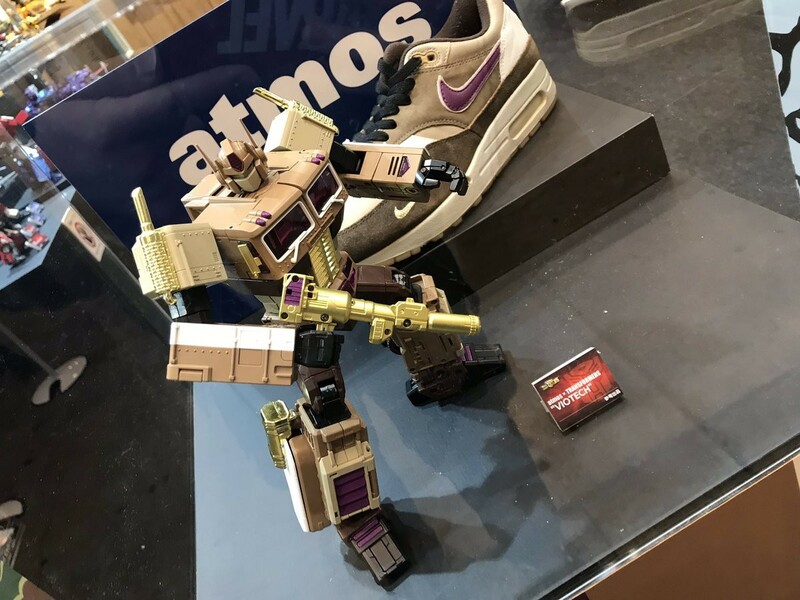 Shown off at Wonder Festival 2019 Winter, three new Masterpiece MP-10 Convoy redecos were shown, tied with atmos x Nike sneakers! These pictures come from @hdijanz on Twitter. 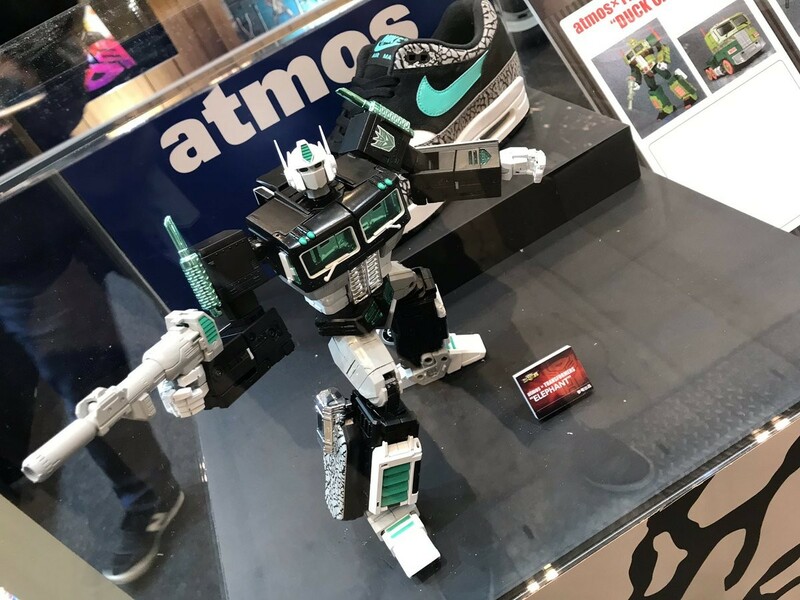 Yes, these three Optimus Prime's parallel these three atmos x Nike shoes, which were shown beside them. As of now, we only see that the toy comes with the fold-able Ion Blaster, though more accessories may come with it, especially the Matrix of Leadership. 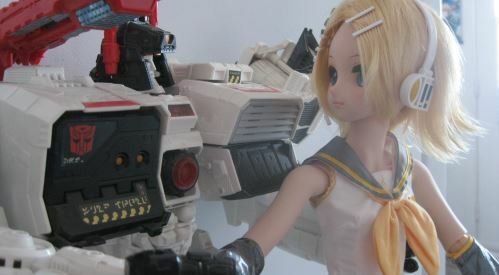 This certainly isn't the first use of MP-10 for brand deals and crossovers, as stated before. We had three for BAPE, one for Evangelion, and most recently, 7-11. But what are your thoughts on these? Let us know in the Pub forums below! 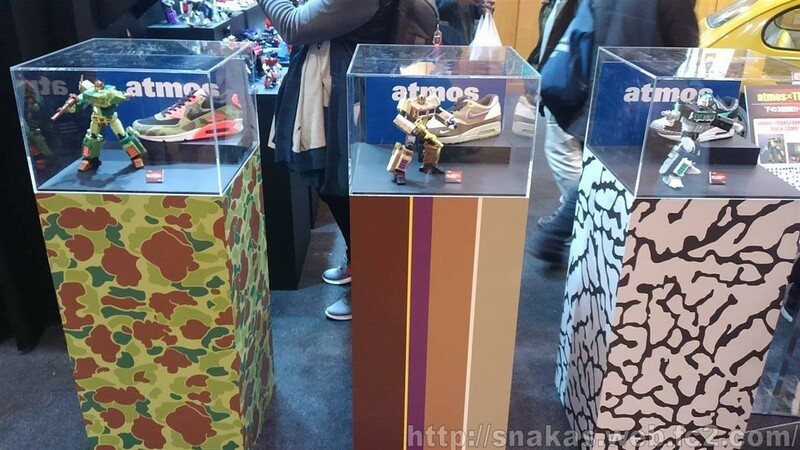 Update: We have some more pics courtesy of the Snakas Blog. These are going to cost way more than they should. I almost feel bad for MP10 competionists...almost. The green one is kind of weird but the other two look fabulous as hell. 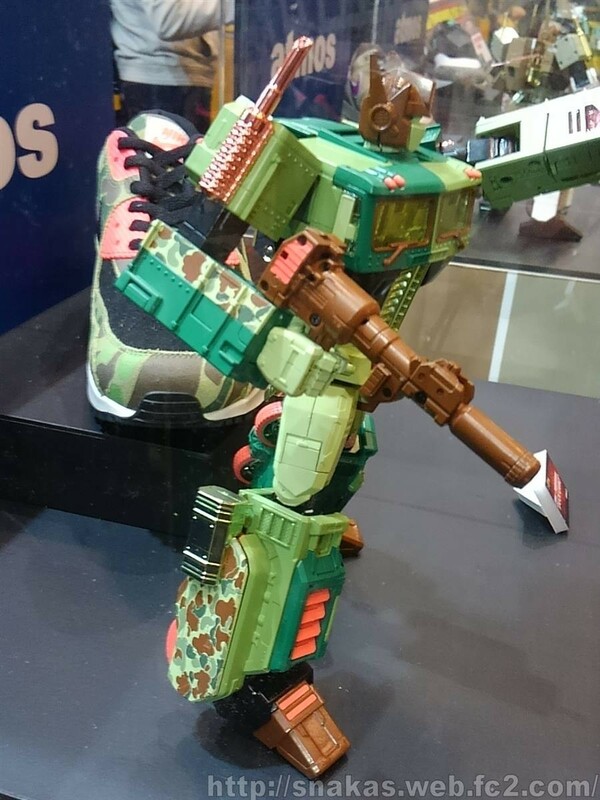 Yeah, the figures look nice, and getting some new shoes as a bonus would be cool too. 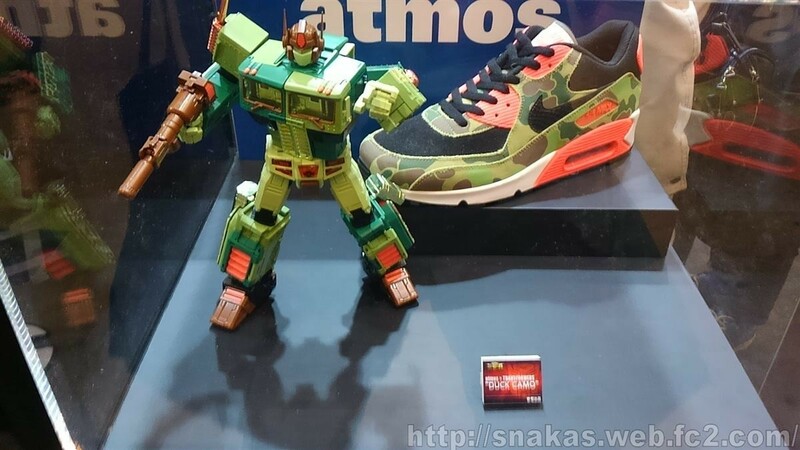 Nobody is going to point out that the black and teal "Elephant" version is a Decepticon? That's the version I wouldn't mind having. 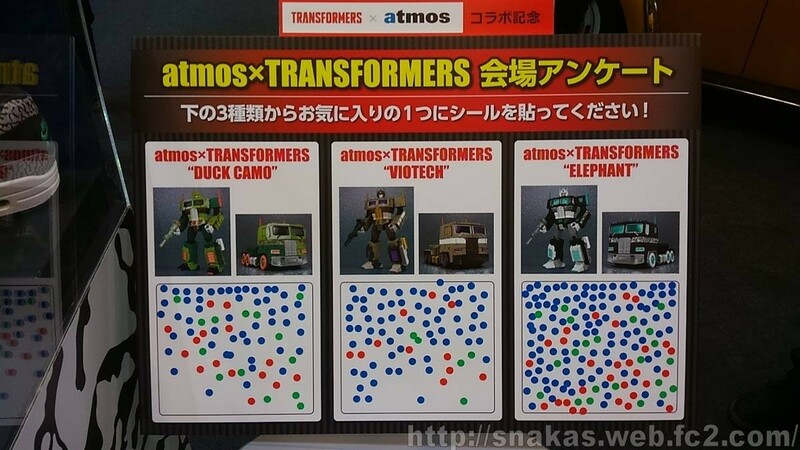 Emerje wrote: Nobody is going to point out that the black and teal "Elephant" version is a Decepticon? That's the version I wouldn't mind having. 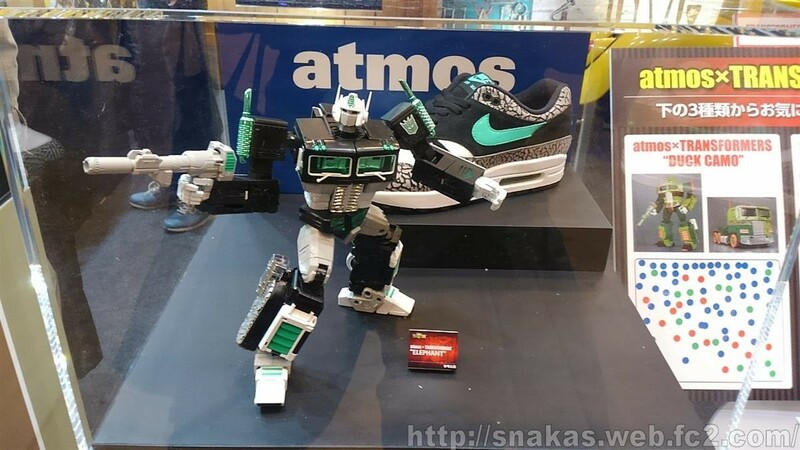 Remember those out of nowhere MP-10 Repaints based on Nike atmos shoes that were shown off at Toy Fair earlier this month? Well, it looks as if those 3 were not even the whole story! 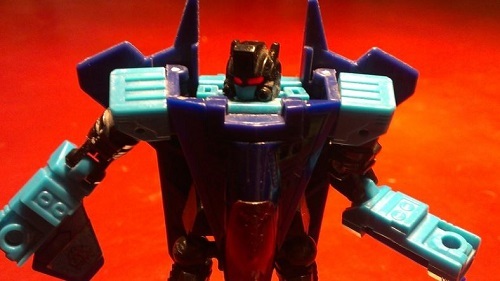 Thanks to a heads up from Seibertron Podcaster Megatronus, we have now received word of a fourth atmos based repaint of the MP-10 mold. 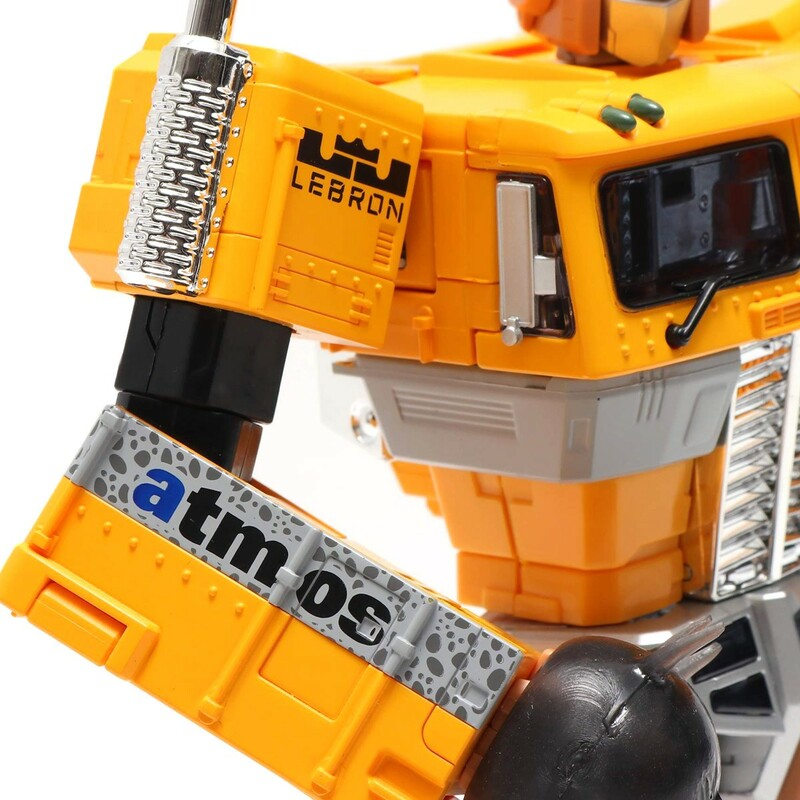 This fourth variant is called the Safari Lebron version, and it features a cool orange color scheme complete with black and gray detailing to match the shoe it is based on, and also includes some Lebron and Atmos advertising on the shoulders and arms. 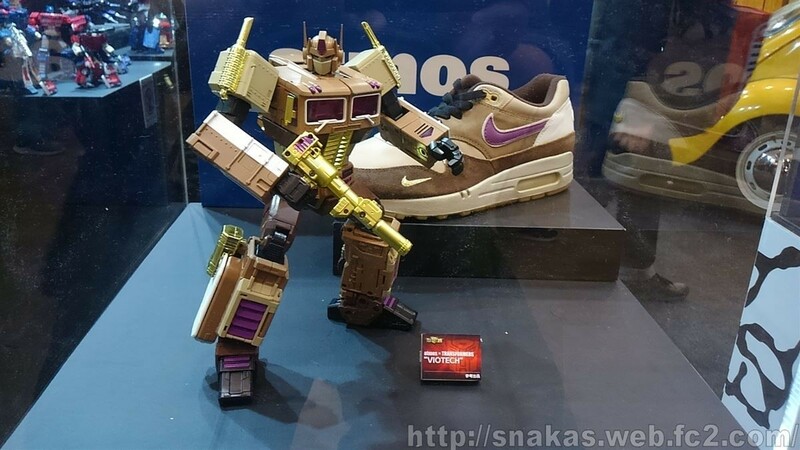 We have a ton of images of the MP-10 figure, along with plenty of shots of the shoes too, which can be found in their entirety HERE, and we even get a commercial featuring the MP-10 Safari Lebron Prime transforming to Slam Dunk, thanks to Collecticon.org!. 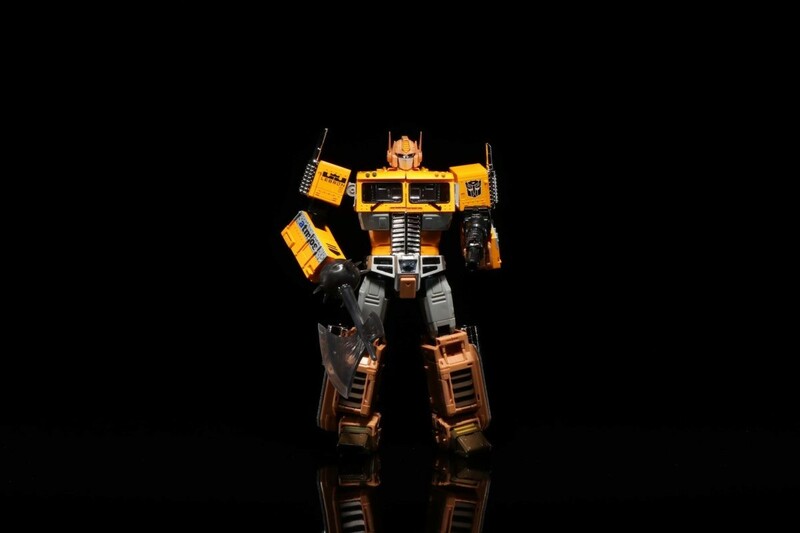 This Prime will be available this Saturday, March 2, at Japanese Atmos stores and their website for ¥20000 ($180 USD) plus tax. 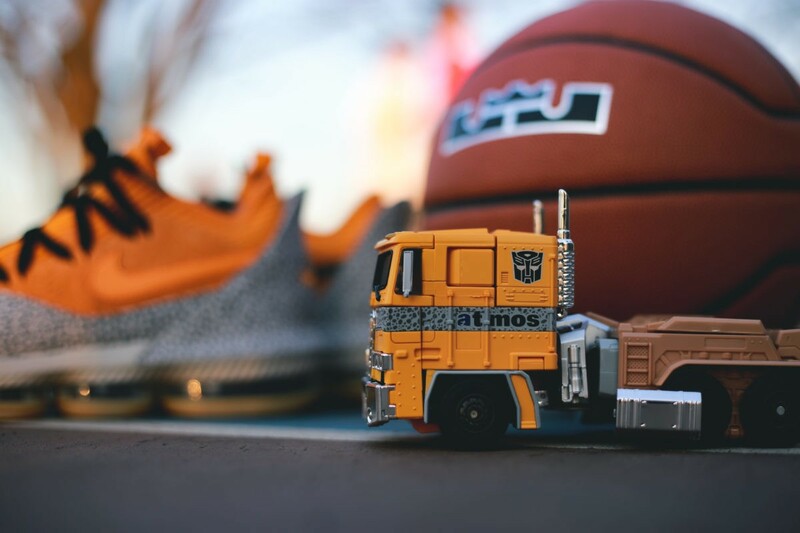 You can buy the Atmos Safari Lebron Ver. 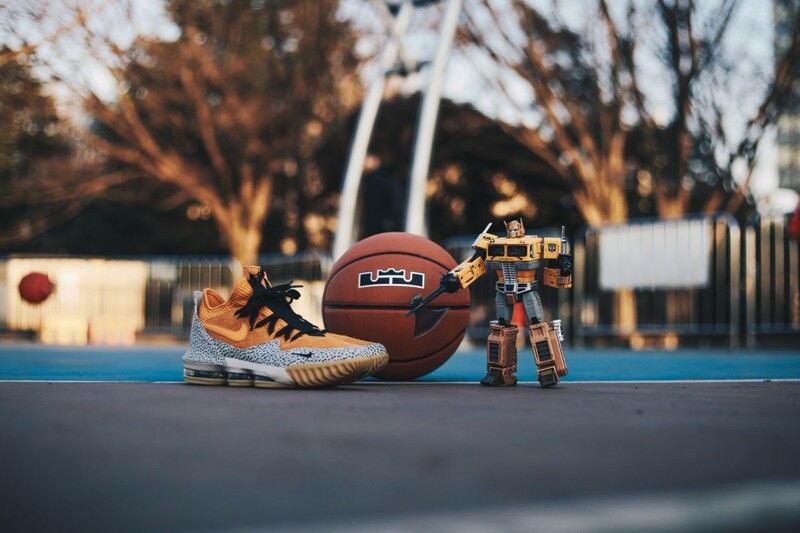 shoes separately for ¥17500 ($160 approximately), and if you really want the shoes but don't want to order online, they should be sold by Nike proper here in the coming months. 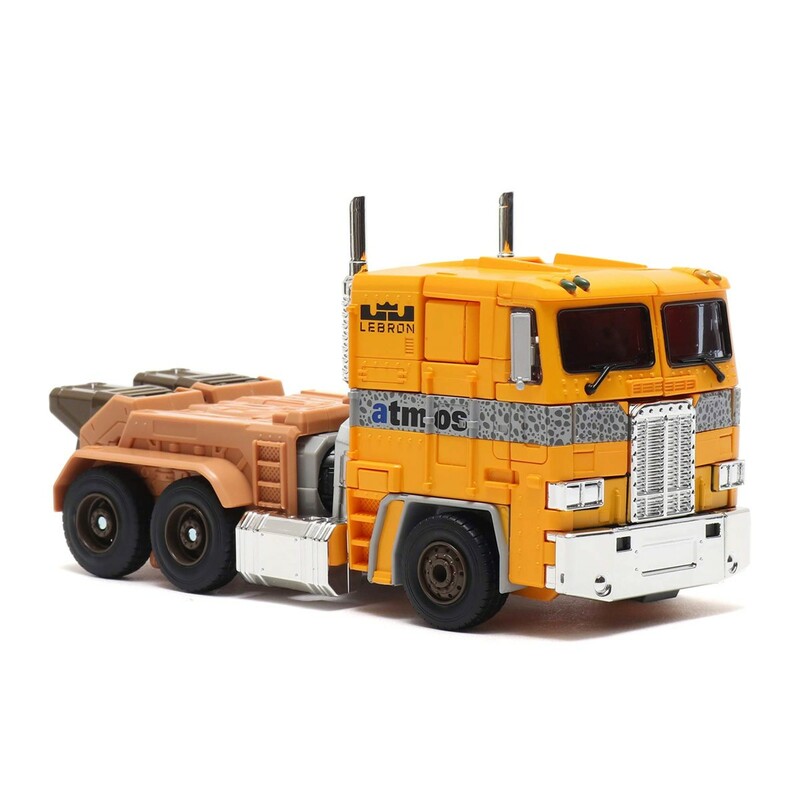 Check out the images and ad below, and let us know what you think of the weird and wacky MP-10 Repaint train journeying into Nike territory below! 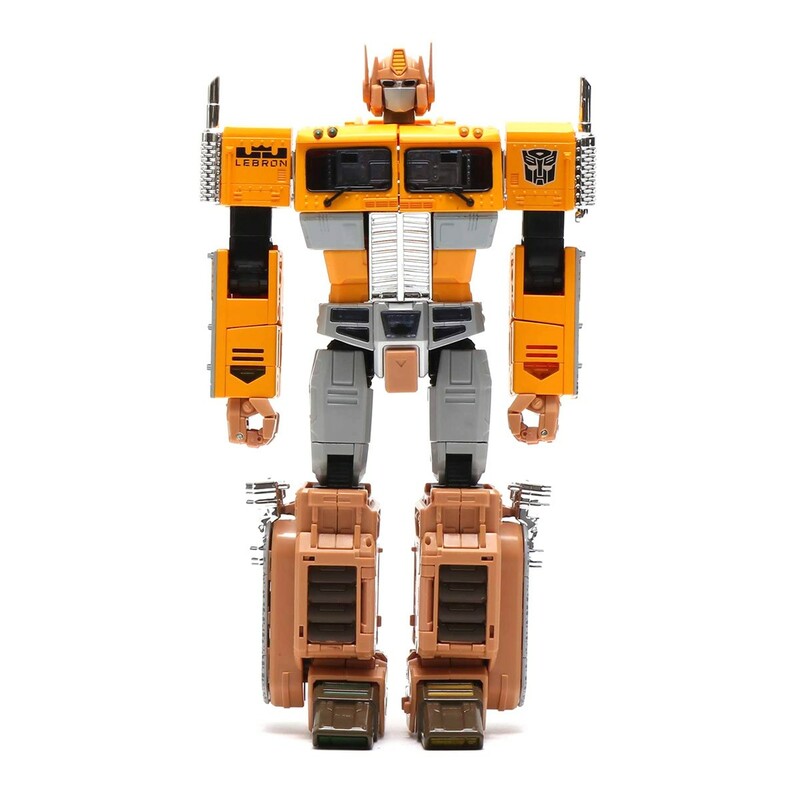 And if you really want to touch up on the history of the MP-10 repaints, check out our retroactive look at the MP-10 mold in our Seibertron Twincast/Podcast HERE! 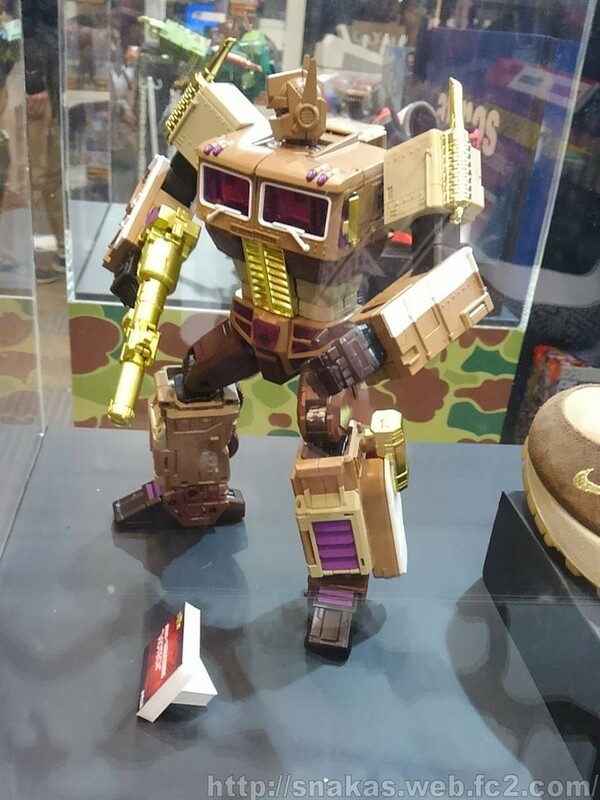 I didn't really pay attention to the MP-10s that came out at Toyfair, but dang, I really like that Duck Camo one, those colors are sweet! Sajaki, are you still around? Reminds me of a construction worker and I now have the song YMCA stuck in my head. The yellow looks great, not crazy about the beige. I really just want the "Elephant" version, and judging by the dots I'd say most people do as well, hope that one's easy to get. Secured one, ran a little more than gray BAPE but a little less than the red one. Could have been worse. I expect at least one more of these, hopefully it's also not hyper-insane. ScottyP wrote: Secured one, ran a little more than gray BAPE but a little less than the red one. Could have been worse. I expect at least one more of these, hopefully it's also not hyper-insane. Cool! When's he due in? 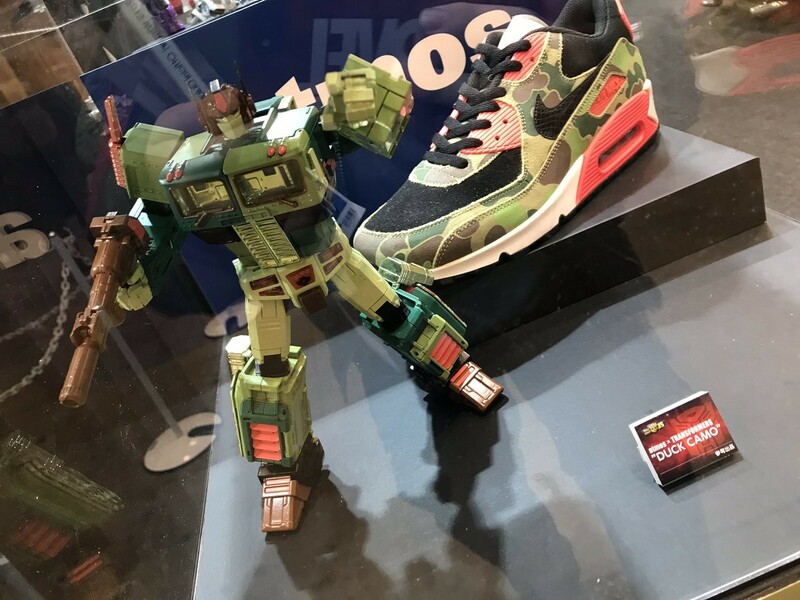 Also, do we know when the Duck camo and other 2 are supposed to come out? 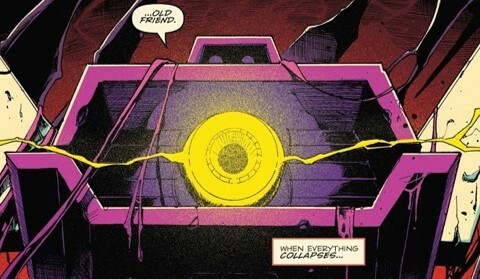 It'll be a little bit, group buy shenanigans with a buddy that's waiting on some Diaclone stuff to be released. I think of the other three only one of them is happening, seem to recall something about it being up to a vote? No idea on the details beyond that unfortunately. 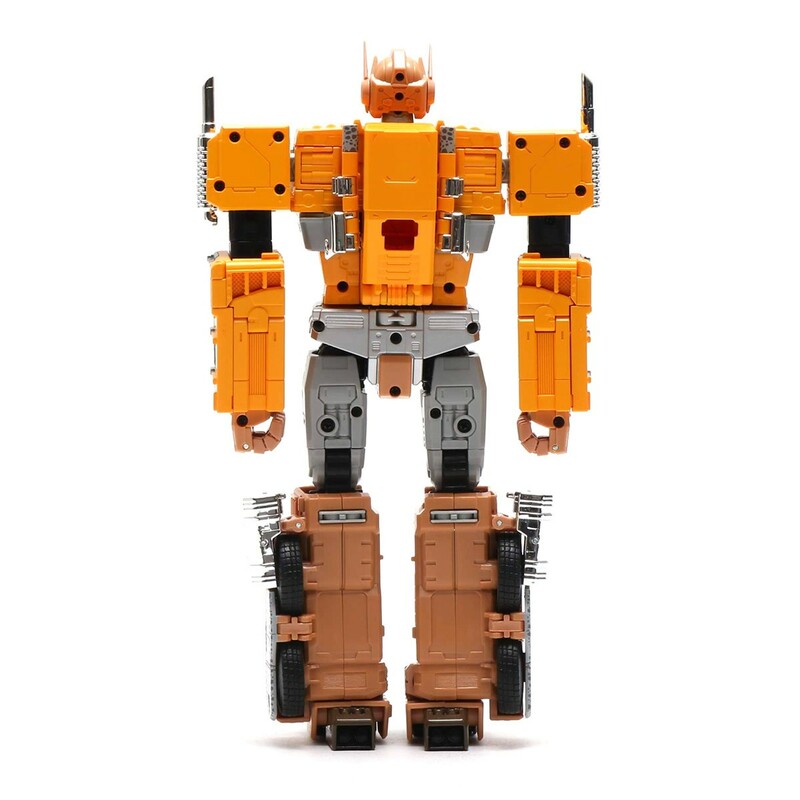 Ok, for the MP-10-ers, I can agree. But considering that Black and white one seems to have won the vote if it was a vote for which exists, I wanted the Duck! Oh well, that's money saved for the Ghostbusters Prime!